Happy hump day!! So nice to see the sun shining and warmer weather today compared to the last few days! 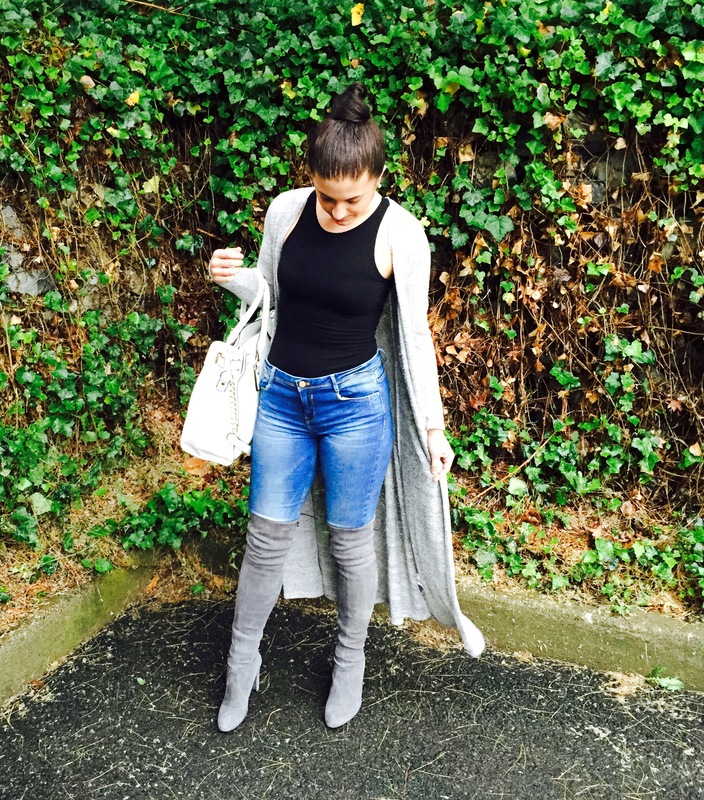 Just a little OOTD post…Since yesterday was unusually chilly, I decided to style my favorite pair of casual jeans with a longline cardigan and suede thigh high boots. I haven’t worn these boots since winter and mostly for getting dressed up, but I figured they are great for adding a chic touch to a casual outfit. Shades of gray has also been my favorite to rock lately because of its light and neutral look! I am ALL about rompers at the moment. How can you not love an easy all-in-one outfit? TGIF !! I started my weekend a little early with date night last night! (Quick side note – these pictures were taken at 7pm, and it is still so light out – LOVING IT!!) Anyways, since we had a little taste of spring weather this week, I figured it was the right time to break out this amazing waterfall trench coat from Naked Wardrobe. I love this blush/pink color so much. It’s a very refreshing color to add to your wardrobe this season as we move away from some of the coldest days. Shoes are also one of my newest purchases. Adding a chunky heel is always insta-chic. Unfortunately, the coat is no longer available 😦 but I did find some similar ones, just as equally fabulous! Shop the whole look below! One trend I’m absolutely falling for this season is fringe! Jackets, tops, skirts, shorts, shoes, bags – go for fringe! Maybe not all at once, of course, but adding fringe is a great way to make a bold statement with your look. While shopping for fringe, I can’t make up my mind, I’m loving everything! A light jacket would be perfect for the transition to spring, while a fringed shoe screams edgy! I’ve narrowed down all my favorite fringed items in the gallery below. Not ready to go full on fringe yet? 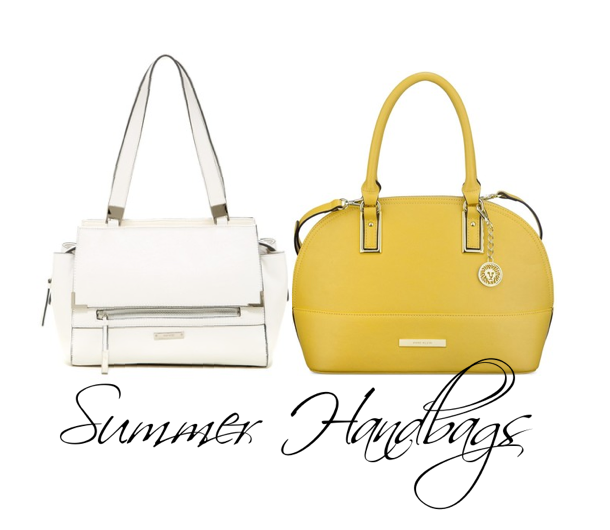 No worries, a handbag is a great way to subtly rock this fabulous trend. Happy Sunday! Hope everyone is having a great weekend! I had the perfect saturday going to dinner and seeing some friends ❤ Here’s the outfit I decided to wear for my night out!